Gilas Pilipinas win the game against the Iran National team in their Tune-up yesterday June 8, 2016 at the Smart Araneta Coliseum. Gilas showed a nice chemistry and the preparation for the 2016 FIBA Olympic Qualifying Tournament is looking good and sharp. Blatche led the game with his 20 points, 11 rebounds and 4 steals, Ryan Reyes added 12 points and has a good 3 points field goal 3/4, Japeth showed shooting skills with his great performance in the 1st quatrter and scored 11 points, Romeo also added 12 and Parks drops with 11 points. 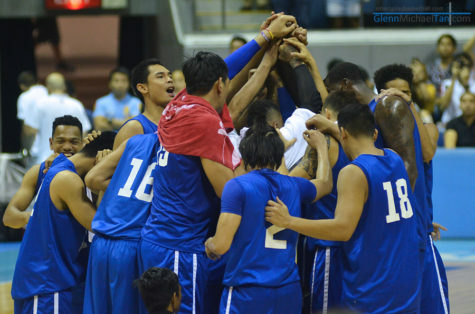 The Gilas Pilipinas also won the match in their off the public tune-up game against Iran last June 7. Philippines 81 – Blatche 20, Reyes 12, Romeo 12, Aguilar 12, Parks 11, de Ocampo 4, William 3, Fajardo 3, Pingris 2, Tenorio 2, Norwood 0, Abueva 0, Rosario 0. Iran 70 – Yakhchali 16, Sahakian 13, Mohammad 9, Jamshidi 8, Zangeneh 8, Arghavan 5, Kardoust 4, Farid 4, Mashayekhi 3, Dalirzahan 0, Amir 0.